Melvyn Tan has lived in London since leaving his native Singapore at an early age to study at the Yehudi Menuhin School and the Royal College of Music. His teachers have included Nadia Boulanger, Marcel Ciampi and Vlado Perlemuter. He built a formidable international reputation during a long exploration of the precursors of the modern piano. This culminated in a series of groundbreaking performances and recordings on the fortepiano including the complete Beethoven Concertos and Sonatas and Schubert Impromptus. Melvyn has given complete cycles of the Beethoven Concertos and Sonatas, Mozart Sonatas, Debussy Préludes and Chopin Préludes in New York, Tokyo and London. He has performed at many leading concert halls around the world, including London’s Wigmore Hall and Royal Festival Hall, New York’s Lincoln Centre, Théâtre du Châtelet and Cité de la Musique in Paris, Vienna’s Musikverein and Konzerthaus; Salzburg’s Mozarteum, Amsterdam’s Concertgebouw and Cologne’s Philharmonie. His festival appearances include Salzburg, Edinburgh, La Roque d’Anthéron, City of London, Spitalfields, and Bath’s Mozartfest. He has worked with orchestras such as the London Philharmonic and Netherlands Symphony orchestras, the Royal Liverpool Philharmonic, Academy of St Martin’s in the Fields, Stuttgart Radio, Salzburg’s Camerata and Mozarteum orchestras, New World and Melbourne symphonies and has toured Australia regularly with the Australian Chamber Orchestra. In 2007 he began his association with the London Chamber Orchestra and Christopher Warren-Green, performing concerti by Beethoven, Mozart and Hummel in London and Italy. Chamber music and Lieder hold an important place in Melvyn’s repertoire. Partners include cellist Steven Isserlis, with whom he has recorded the complete Mendelssohn works for cello, cellist Patrick Demenga, clarinettist Dimitri Ashkenazy, tenor Keith Lewis, the Skampa String Quartet and the Dutch pianist Ronald Brautigam. 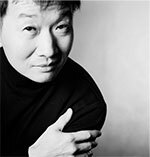 He is the founder of the New Mozart Ensemble, a flexible chamber ensemble / orchestra which he has directed in many major festivals and music centres worldwide.